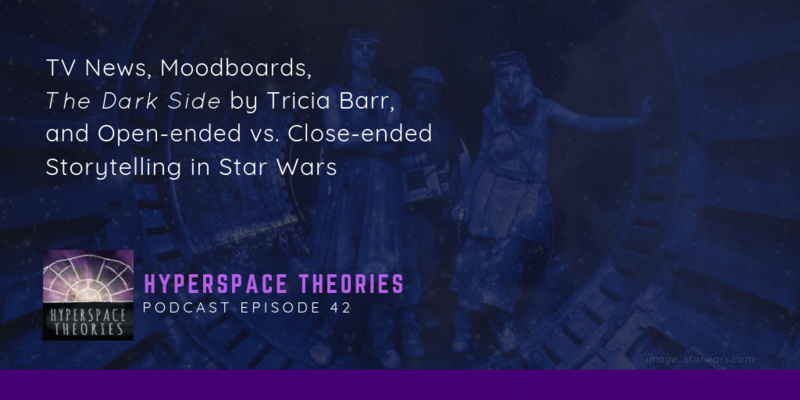 Hyperspace Theories visits The Dark Side in this month’s episode. That’s right, Tricia Barr has a new Star Wars book, which just released in French and Spanish language editions. Before we talk about the book, though, Tricia, B.J., and Kay share our reactions to the latest announcements about the live-action television series for the Disney+ streaming service set to launch next year. Diego Luna returns to play Cassian Andor is a series set prior to the events of Rogue One. Considering Cassian has been in the fight since he was six years old, there’s a lot of story potential in his backstory. In addition, Lucasfilm announced the principal cast for The Mandalorian, including Pedro Pascal in the titular role and a variety of other familiar faces. Each episode, our meta segment is based on the theme of how to speculate wisely about upcoming Star Wars tales. Sometimes that means knowing when to be careful not to draw any big storytelling inferences from material that doesn’t warrant it. This month, that idea definitely applies to a tweet from director – and trusted advisor to J.J. Abrams – Ava DuVernay, who tweeted a photograph of her friend Victoria Mahoney, second unit director on Episode IX, in her office at Pinewood Studios. On the wall behind Mahoney is a “mood board” of imagery, most of which has no direct connection to Star Wars – although the picture of Mahoney in a pink fluffy coat and Vader helmet is certainly the centerpiece. The inspiration on the mood board ranges from Patty Shepard in the spaghetti western The Man Called Noon (1973) to a book of portraits by painter Kehinde Wiley. Though it may not tell us any details about Episode IX, the tweet does give us a stronger sense of Mahoney’s visual eye and the talent she brings to the film. Our storytelling segment features Tricia sharing her thoughts about writing The Dark Side, a new title from Hachette Heroes. Written from an in-universe perspective, the book examines the dark side of the Force through the lens of the characters who wield it, including the Sith, fallen Jedi, the Nightsisters of Dathomir, and the Empire’s Inquisitors. In addition to movie characters like Darth Vader, Emperor Palpatine, and Count Dooku, the book also addresses characters featured in animation and other stories, such as Asajj Ventress, Mother Talzin, the Seventh Sister, and the extended story of Maul, formerly Darth. Although an English edition has not yet been announced, the French (ISBN 978-2017003809) and Spanish (ISBN 978-8416857418) editions are on sale now. Our world-building segment spins off from the news of the Cassian Andor television series. 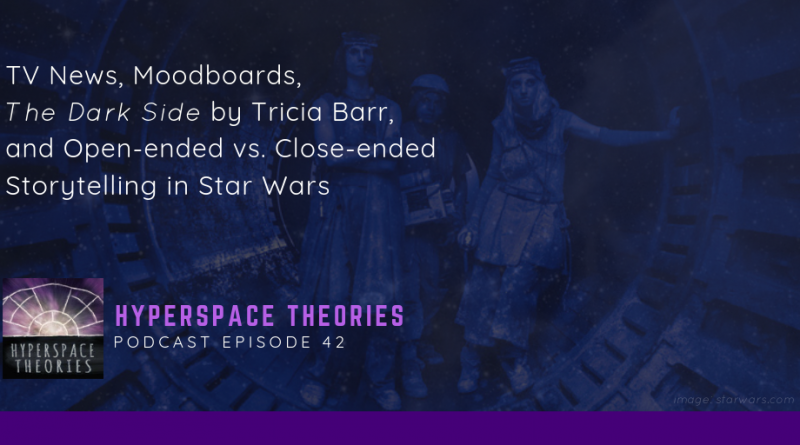 We consider how the Star Wars franchise over time has involved a balance between open-ended stories with no inherent conclusion and closed-ended tales constrained, at least to some extent, by known endpoints. 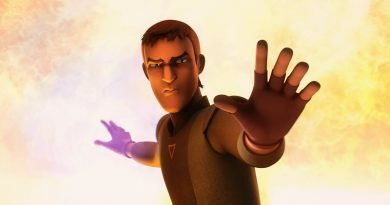 The Mandalorian and Episode IX are examples of the former, while the Cassian series and The Queen’s Shadow fall into the latter, and some stories, such as Star Wars Rebels and Star Wars Resistance, have elements of both. 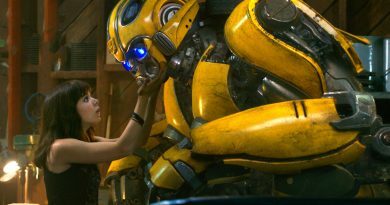 In the first six to seven years of the Disney era, the franchise has leaned heavily on backstory and closed-ended stories. While this makes sense to steer clear of the Sequel Trilogy during its development, we consider the implications for the franchise and the fandom that choice has created.